The inexperienced shaded stones area unit organized on the highest circumference of the bangle during a definite pattern of one circular stone followed by four teardrop formed stones. This designer bangle features exquisite white stone work on a base metal of gold plated brass. 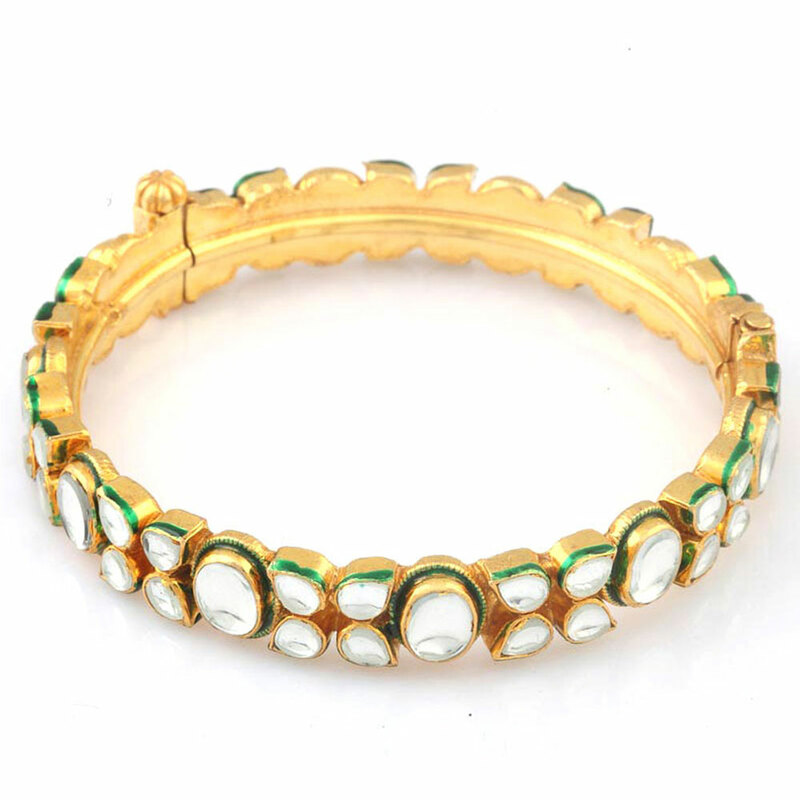 The green shaded stones are arranged along the top Read More..circumference of the bangle in a definite pattern of a single circular stonefollowed by four teardrop shaped stones with their tips facing in opposing directions. Show Less..